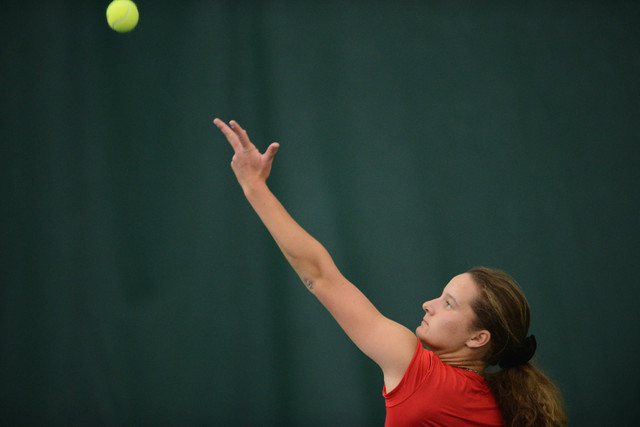 Anna Bogoslavets, a freshman on a UNLV roster that features only foreign players, is a young woman from the Ukrainian capital of Kiev who will shatter the single-season record for winning percentage. She is 24-1 entering the NCAA Tournament on Friday. The story has been told one way or another countless times: A gifted athlete from an eastern European country searches for opportunity beyond the deteriorating situation of revolution and now war that continues to devastate her homeland. The difference is, not many adapt as well as Anna Bogoslavets. UNLV has built a championship women’s tennis program over the years with a virtual smorgasbord of cultural diversity, scouring the globe for players who see in the Rebels and, a much larger sense, attending school in the United States as a life-altering option too promising to deny. 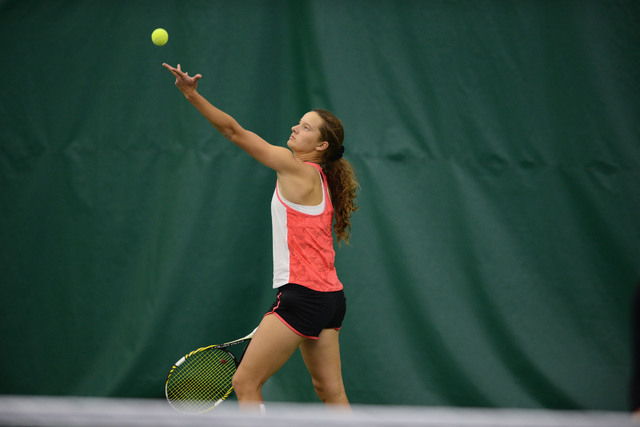 Bogoslavets, a freshman on a roster that features only foreign players, is a young woman from the Ukrainian capital of Kiev who will shatter the single-season record for winning percentage, which happens when the last time you lost a match is Jan. 15. The Rebels, the Mountain West champions, open the NCAA Tournament against Southern California on Friday in Malibu, California, where Bogoslavets will enter her singles match with a 24-1 record, the only player in school history to reach 20 wins in a season with fewer than five losses. “Things were pretty horrible in Ukraine,” she said. “Now, I feel perfect. The coaches here want to help me become a better person and player. I feel much more support here from everyone. I feel a responsibility to win for the team. It is one of the more overlooked success stories on campus annually, hidden among the headlines of bizarre basketball coaching searches and a football program continuing to search for any level of relevancy and an athletic department apparently in flux: Kevin Cory just keeps producing impressive student athletes. It was announced in April that UNLV women’s tennis is one of two programs (women’s golf the other) with multiyear scores of 1,000 in the Academic Progress Rate, and it’s also true Cory’s team has reached ITA All-Academic status 12 of the past 14 years, presented to those tennis programs with a cumulative team GPA of 3.2 or above. Cory is in his 17th season at UNLV, the winningest women’s tennis coach in school and conference history, and understands better than most how to build a successful program in 2016. 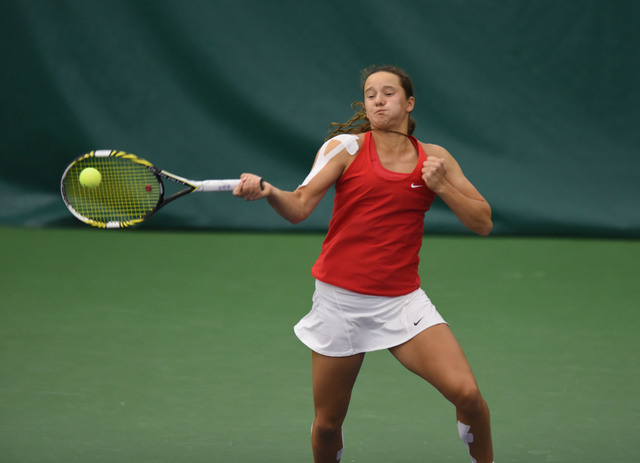 If there are 75 or so junior players from the U.S. each year who have the skill level needed to play Division I tennis, most are going to be gobbled up by the Stanfords and Floridas and elite of elite programs spread across 300-plus schools. Everyone else then looks to Europe and Asia and all other parts of the world for talent. The most amazing part about UNLV’s history in recruiting foreign players is that Cory never has been to any of those places where he has discovered so much skill, never boarded a flight to Spain or the Ukraine or Hungary or so many other dots on a global map. He relies on rankings and results and word of mouth and suggestions from those he has built relationships with over the years. Sometimes, as with a player such as Bogoslavets, stars just align. They actually found her while recruiting another player, when assistant coach Tim Nichols was watching a tournament in Israel and the player UNLV wanted was beaten by a national champion from Ukraine, who dropped the first set 6-0 but then fought and scrapped for a three-set victory. Nichols sent Cory a text: I think we need to look at someone else. That someone is 18 and misses her family, her mother, her father and brother who are in the Army back home, where Russia’s dirty war in Ukraine is far from over, as fighting in the southeastern part of the country continues and nearly 100 attacks are reported daily. She misses the chance to speak her native language on a daily basis. Bogoslavets intends to major in international business with a minor in German and hopes to one day live in Austria. She loves everything about Las Vegas — the school, the different cultures within her team, the bright lights of the Strip. Hey, whatever gets you to 24-1, to a historic freshman season, to a conference championship and NCAA regional. I would say she has adapted quite well, save all the lettuce and oatmeal.